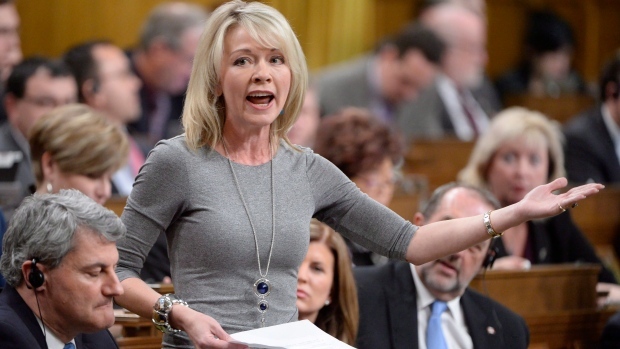 Conservative MP Candice Bergen said the Liberals should have protested when China denied her a visa to travel there with other parliamentarians this summer, instead of leaving her behind. The Opposition House leader was supposed to be among the MPs and senators on the Canada-China Legislative Association who travelled overseas Aug. 14 to 27. She was hoping to talk to Chinese politicians and government officials about Canadian canola exports and human rights. She said she was alarmed by some of the personal details China asked of those going on the trip, especially since they were travelling on special passports, so she decided to leave some information about her family out of the application. China denied her visa a few days before the group was due to leave. “That was disappointing and shocking,” said Bergen, who pointed out she was a minister of state in the former Conservative government and had been to China before, in March 2016. What surprised her even more, she said, was that when she sent an email to others in the group asking whether they were going to do anything about it, such as cancelling the visit, she never heard back. 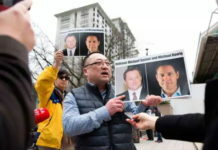 Sen. Joseph Day, who co-chairs the Canada-China Legislative Association, said the group did push back on the invasive nature of the application form, but were told by Canadian and Chinese officials, as well as the politicians they later met on the trip, they did not have a choice if they wanted to go. “The Chinese were not flexible on that,” said Day. Conservative MP Cathy McLeod said she also left out some information she did not feel comfortable disclosing, but she was granted a visa. Once she learned Bergen could not go, she decided to stay home too. Bergen said she eventually heard back from Day, who said China had the right to decide who to let in. She acknowledged that to be true, but suggested Canada would not bar an elected official. “Can you imagine that ever happening and the fallout from that?” she said. There was, in fact, a lot of controversy in 2009 when the Canadian Border Services Agency denied entry to George Galloway, then a British MP. 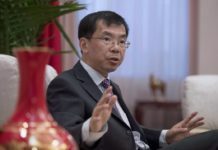 Day said cancelling the trip would not have been fair to those who did complete their forms and wanted to keep building relationships with China. 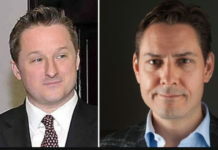 According to records provided by the Senate, the parliamentarians who did go were Day, Liberal MPs Geng Tan, Terry Sheehan, Terry Duguid and Majid Jowhari, New Democrat MP Jenny Kwan, Senate Liberal Percy Downe and Conservative Sen. Victor Oh. A spokesperson for the Chinese Embassy in Ottawa did not respond to a request for comment. Bergen said she thinks the lack of protest has more to do with the Liberal government’s efforts to secure a free trade deal with China. 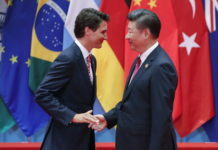 “This is how they negotiate and it seems the Liberals, even on something like this, don’t seem to have the fortitude to be able to stand up to China and stand up for Canadians and in this case, a Canadian parliamentarian,” she said. 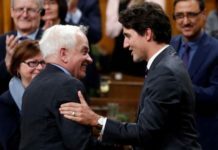 Bergen said she recently wrote to John McCallum, Canada’s ambassador to China, about the incident. 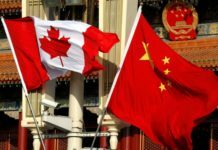 Day said it is important to maintain relationships in China for all sorts of reasons, noting that members of the parliamentary group had done their part to help convince China to lift the ban on Canadian beef imports during previous visits. “You can only get that done through personal contacts and repeated visits. It doesn’t happen overnight,” he said.